For high-intent audiences actively searching for your clients’ offerings. Showcasing your clients product inventory with images, prices, titles and promotions. Creating brand awareness for your clients target audience who are in a passive online state. 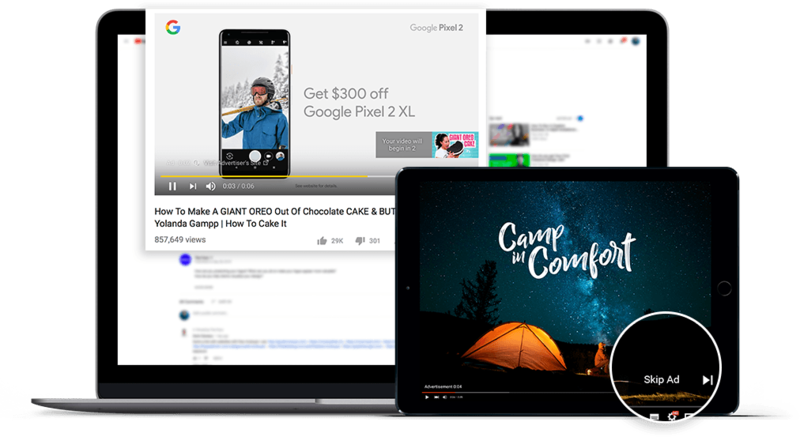 Engaging and driving action on the largest online video platform in multiple ad formats. 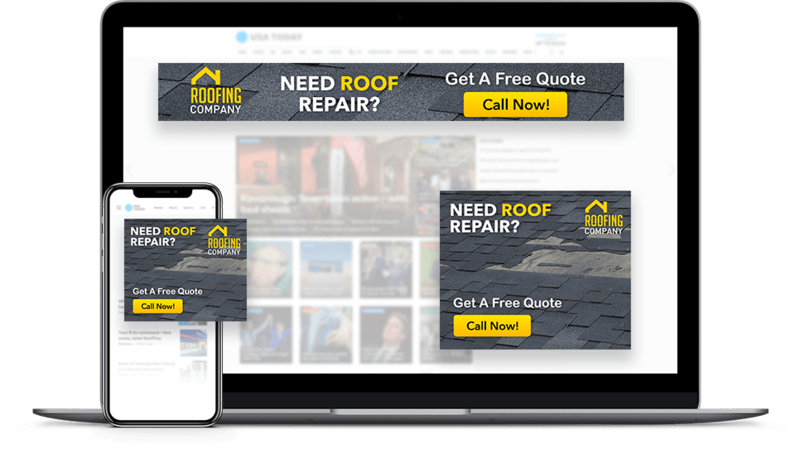 Reconnecting with previous site visitors across the web with engaging ads, content or promotions. Our Agency Partners get everything included to service their clients and grow their portfolio in the most efficient way. We have also done the homework on tools and software so that you don’t have to. 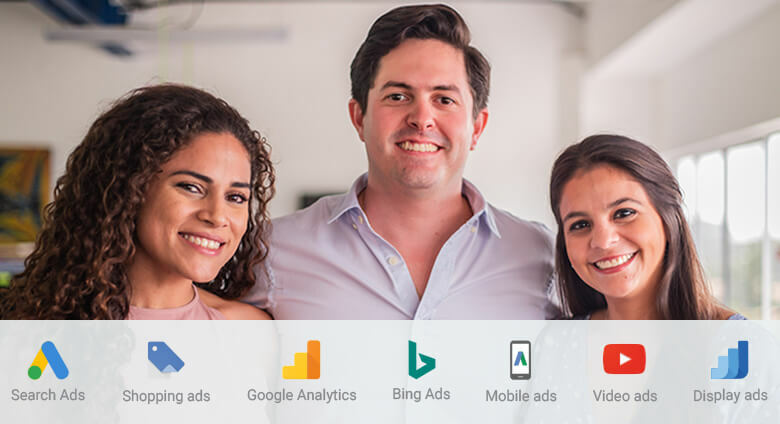 Work with a team of digital advertising experts, comprised of a Strategic Partner Manager, PPC Specialists, and Team Leads. 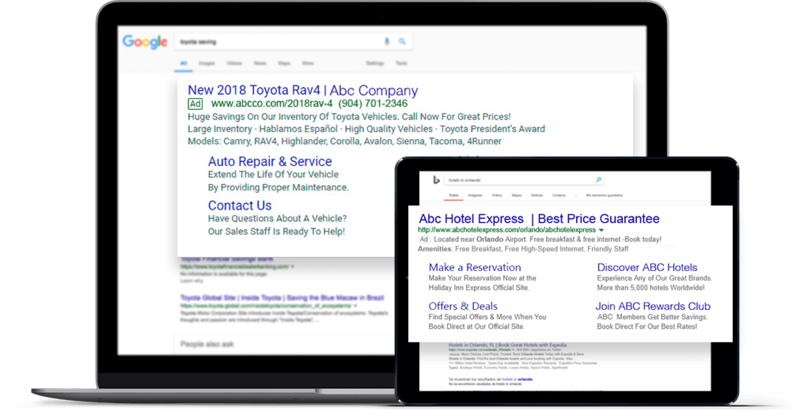 Tap into over a decade of PPC experience and leverage vertical specialist within popular categories like eComm, Auto, Dentist, Legal, and many more. 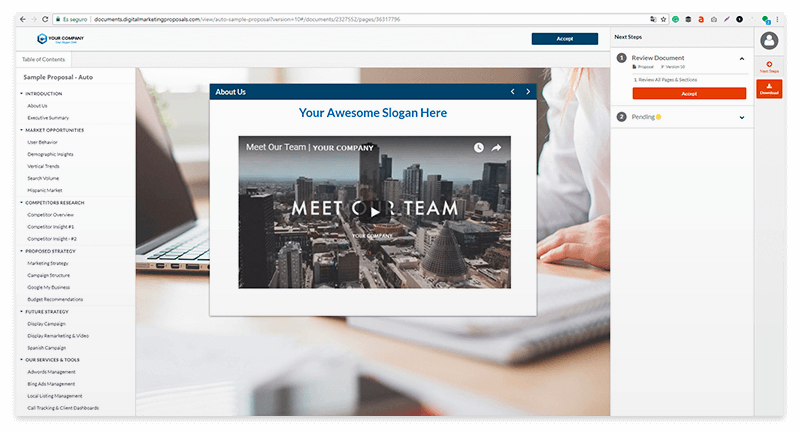 Sharks receive continuous training from internal and Google and Bing Channel teams, providing you access to top-talent without minimal risk. Weekly and monthly outlook of campaigns, ad groups, ads and keyword-level performance across all networks and channels. Executive summary included providing insight and reasoning into our account optimizations. 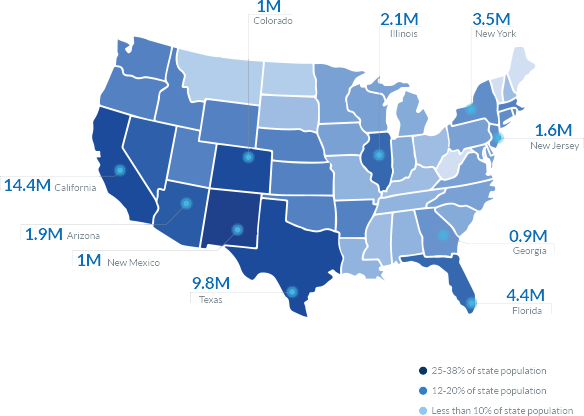 Providing expansion ideas such as Bing Ads, YouTube, Display/Remarketing, U.S Hispanic, Waze Ads, or Google Local Service Ads. 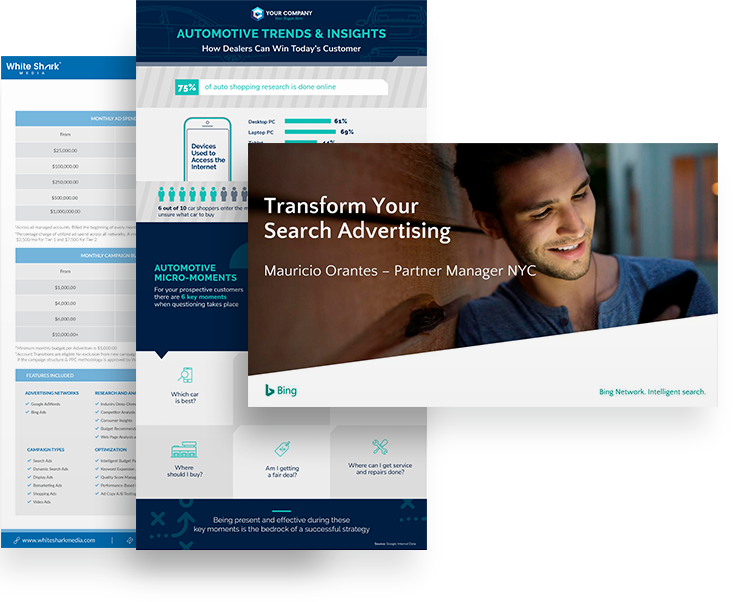 A single dashboard for all your clients with 750+ possible marketing data integrations providing you with a all-encompassing dashboard for all your marketing services​. 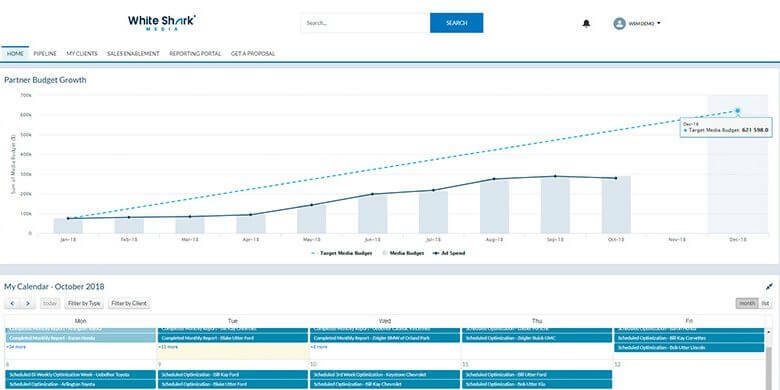 Establish and monitor multiple KPIs for each of your clients, including campaign targets and budgets. Incorporate different margins per product category or platform, and report accordingly across all dashboards. 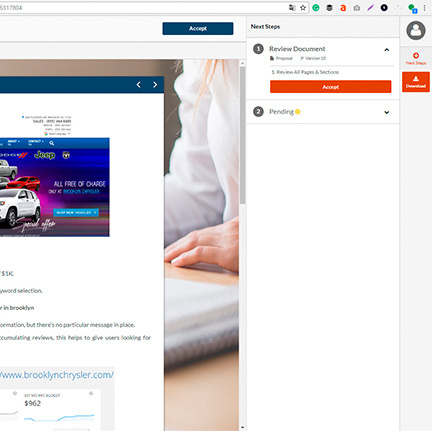 100% White-Labeled Dashboard, with a generic domain and your agency branding. 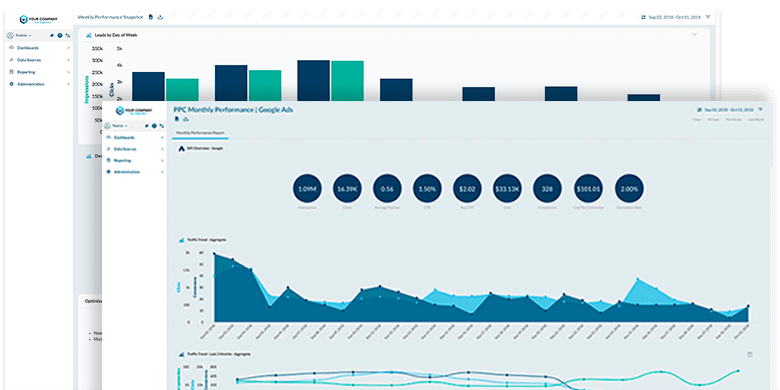 Clients can access performance insights across all campaigns at keyword level, listen and rating calls received, and revenue attribution. Provide your clients 24/7 access to centralized data from all traffic sources in one easy-to-use interface. 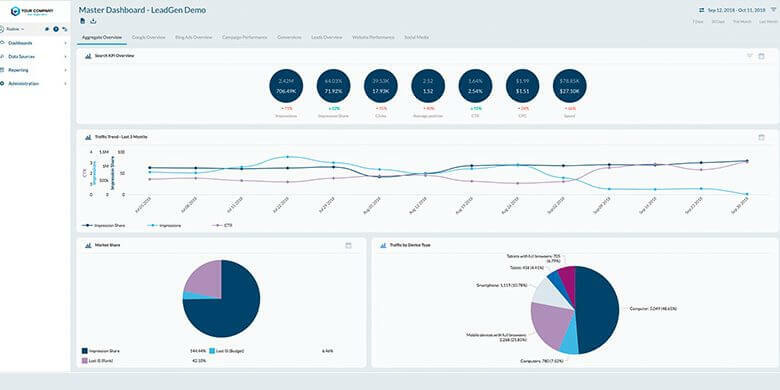 Direct access to our CRM, enabling you to keep track of accounts, deals, KPIs, and providing visibility into past and upcoming work on active accounts. Declutter your inbox, easily view consolidated reports, support cases, billing information, and never miss an update on day-to-day progress. 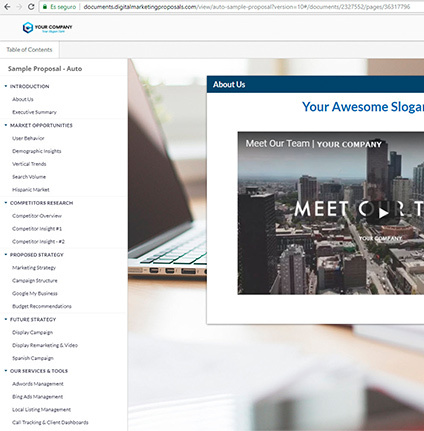 Stay in regular contact with your WSM team via Salesforce Chatter on your desktop or mobile device. 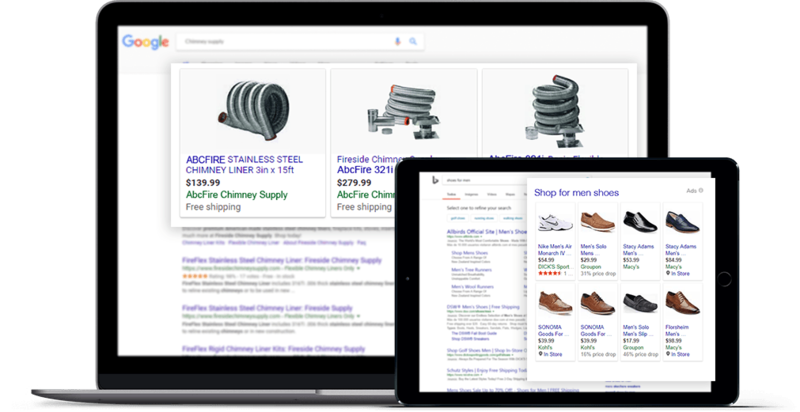 Interested in Quality PPC Fulfillment? check_circleAccess to on-demand White-Labeled proposals for new prospects to streamline your sales process. check_circleReceive a tailored strategy based on a prospect’s needs explicitly crafted for you by experienced research analyst with access to vertical taxonomies and Google benchmarking campaign data. check_circleGet access to an arsenal of vertical trends, playbooks, pitch decks, and product explainers for all Google and Bing products. check_circleLeverage sales tools like our ROAS and ROI calculators with historical PPC campaign data across multiple verticals, allowing you to better forecast the outcome of your clients PPC investment. check_circleReceive support from WSM’s fully bilingual staff to tap into the next media jackpot to reach the US Hispanic. check_circleLeverage Hispanic-targeted campaigns for higher and conversion rates while at lower costs. check_circleBeneﬁt from a brand new keyword strategy and tailored ad copy to maximize your return on ad investments.